Part of a rapidly evolving stationery collection, Cube is an exercise in absolute minimalism. 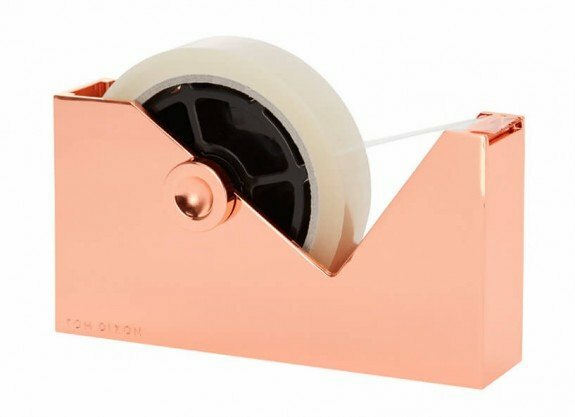 Stripped back to its bare essentials, Cube Tape Dispenser is made from zinc alloy, copper-plated and lacquered to finish. Subtle indents enhance the functionality of the piece. Robust design artifact for the sophisticated study.